After a fatal plane crash, the lives of Ada and Katherine–total strangers–are jostled from normality and both women are hurdled into a season of self-doubt, questioning, and seeking. Ada lost her husband in the crash–a prize-winning photographer who married her months before, rescuing her from her domineering father, a prophet leading a fringe religious group. Katherine was supposed to be on the plane, but she gave up her seat in order to spend one last night with her lover. After the crash, Katherine can’t pretend her life is in order, and she is forced to face the ugly truth of adultery, betrayal, and doubts she’s kept at bay for over fifteen years. 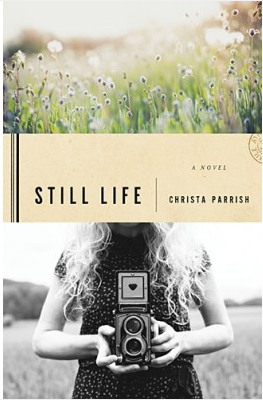 Through changing perspectives, Christa Parrish tells the story of these women–the impact of the plane crash on their lives and the pursuit of love and forgiveness that covers all shame. Parrish’s engaging story considers multiple perspectives on the Christian Faith. From Ada’s self-deprecating, even abusive faith formed beneath her Father’s judgmental gaze, to Katherine’s dismissal of faith as a crutch for the weak, to the example of Ada’s husband, Julian, readers see Christianity in action at its worst and at its best. The changing viewpoints allow readers to see circumstances from another angle, forcing them to grow their awareness and empathy. Despite the dark subject matter, Parrish manages to keep the pace steady as the characters muddle through the fallout. The questions they face are real, questions readers have likely asked themselves; why do some people live and others die? Where is God in times of suffering? Thoughts and prayers linger, long after turning the final page. While Parrish does a masterful job juggling multiple heavy, emotionally cumbersome storylines, there was one aspect of the story which was seemingly glossed over in order to tie up the story. Ada’s upbringing in the compound is integral to her character; marrying Julian was akin to being reborn, fresh to the world and soft to its thistles and barbs. However, there is surprisingly little insight into life at the compound and the power of Ada’s father, the Prophet. Through back-story and allusions, Parrish brings the reader up to speed on Ada’s emotional slant, the result of her upbringing. But there’s a whole world resting just below the surface, leaving the reader curious to learn more. The story could have started back in time, early enough to see more of Ada’s life in real-time. With the first few chapters, the reader gets a strong impression of the foreboding Prophet, but is never able to fully see him in the light. Some aspects of the book may be difficult for younger readers, such as the characters dealing with death, affairs, and divorce. While Parrish never pushes the reader into a graphic portrayal of the crash or romantic affairs, some of the content may be unsuitable for very young, impressionable readers. Still Life is an exceptional novel, written in audaciously honest, and often beautiful prose. This story provides readers with a beautiful depiction of Christ’s love and the unimaginable extent of God’s Grace. Don’t miss this book! To get your copy of Still Life, visit Thomas Nelson’s site or check it out from your local library! Parrish, Christa. Still Life. Nashville: Thomas Nelson, 2015. Print.